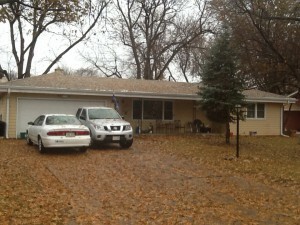 New Siding and Gutters in Omaha! 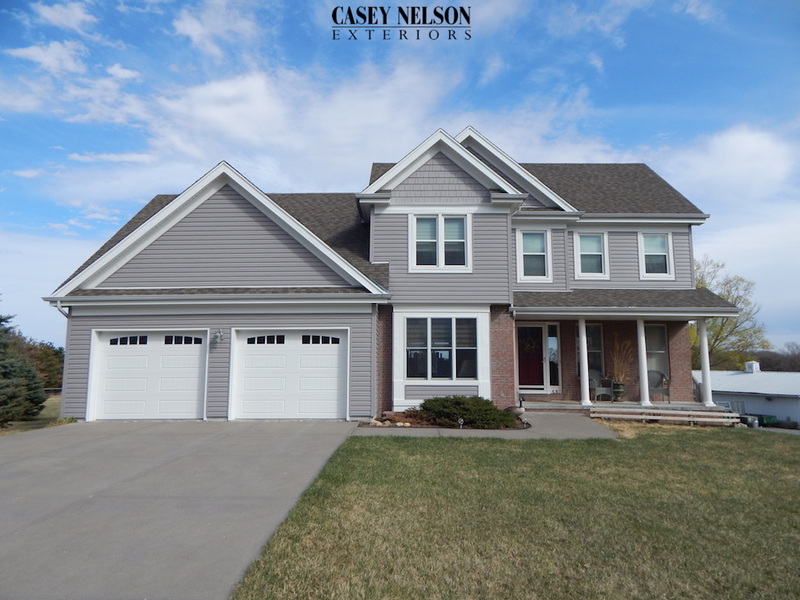 Brand new Pebblestone Clay vinyl siding in Omaha by Casey Nelson Exteriors. 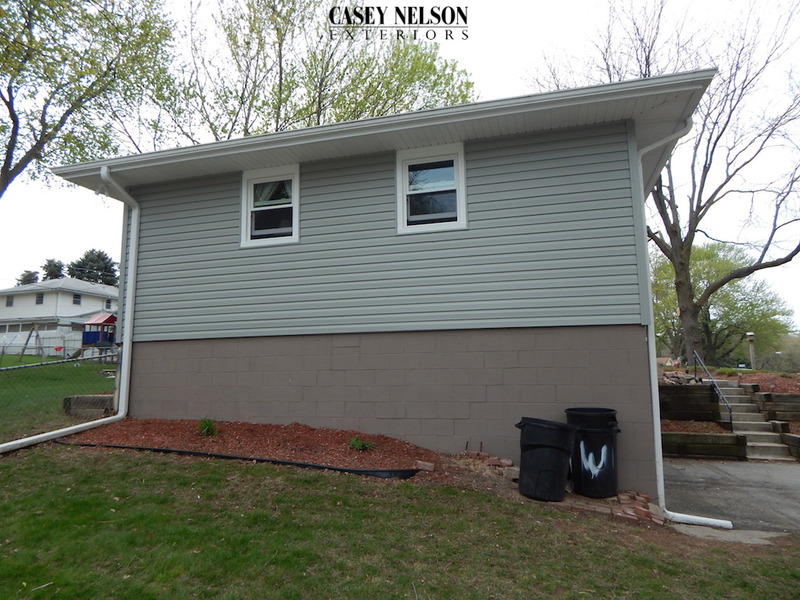 All new gutters with white fascia and corners really stands out! 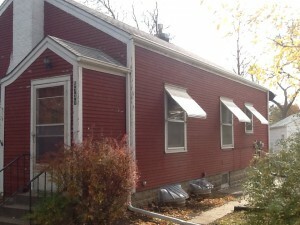 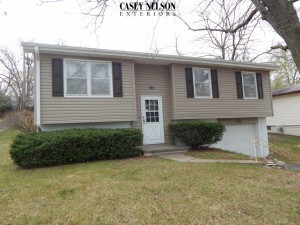 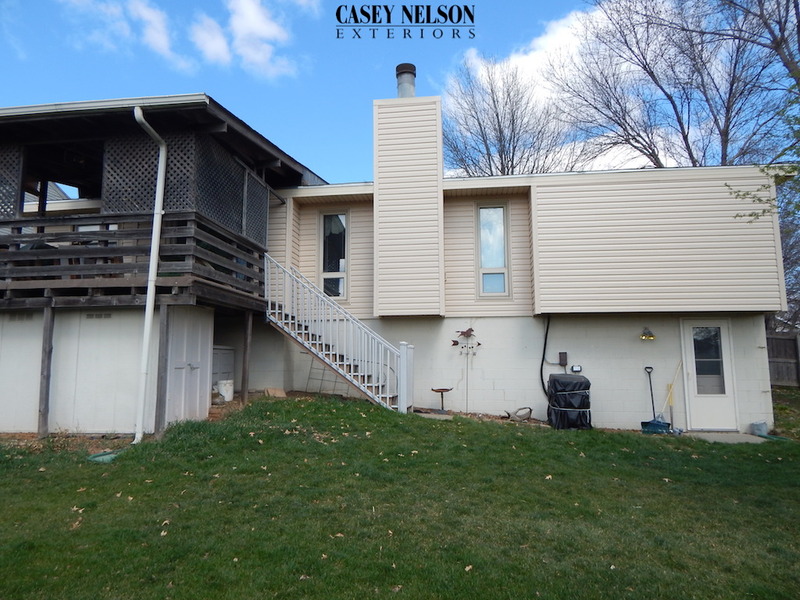 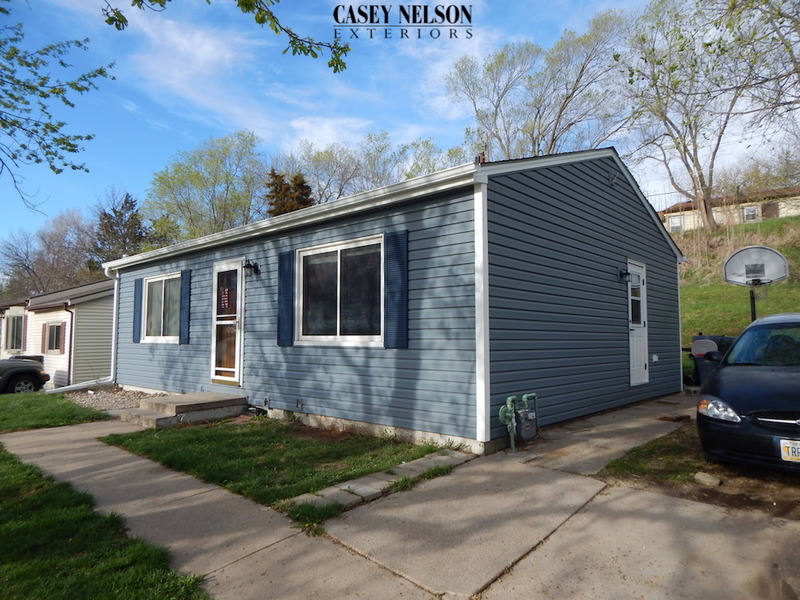 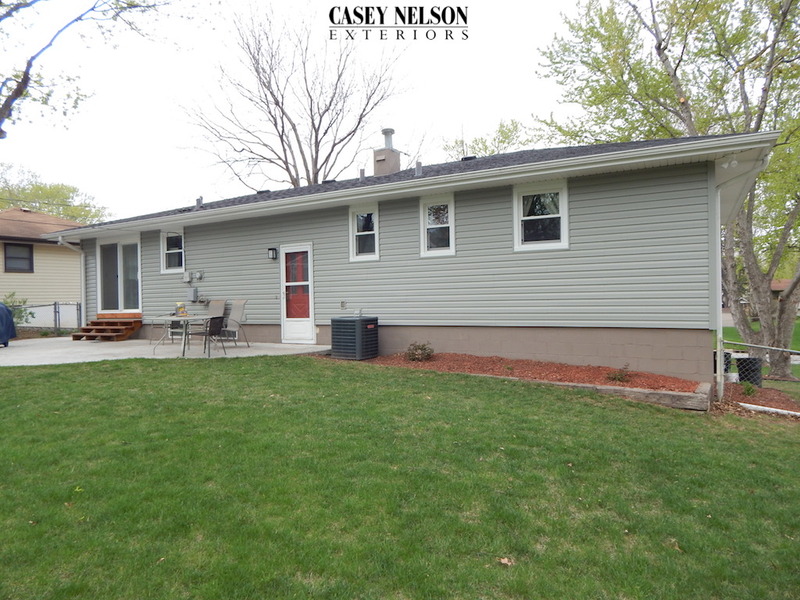 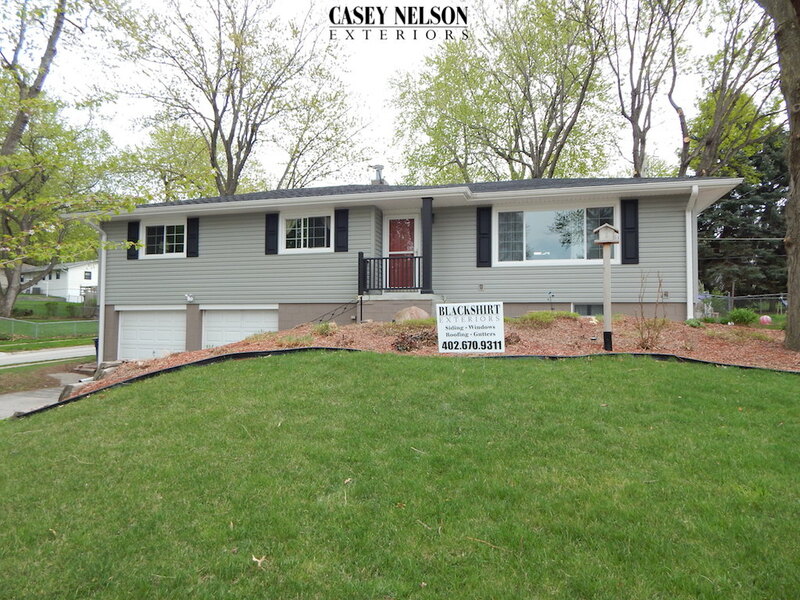 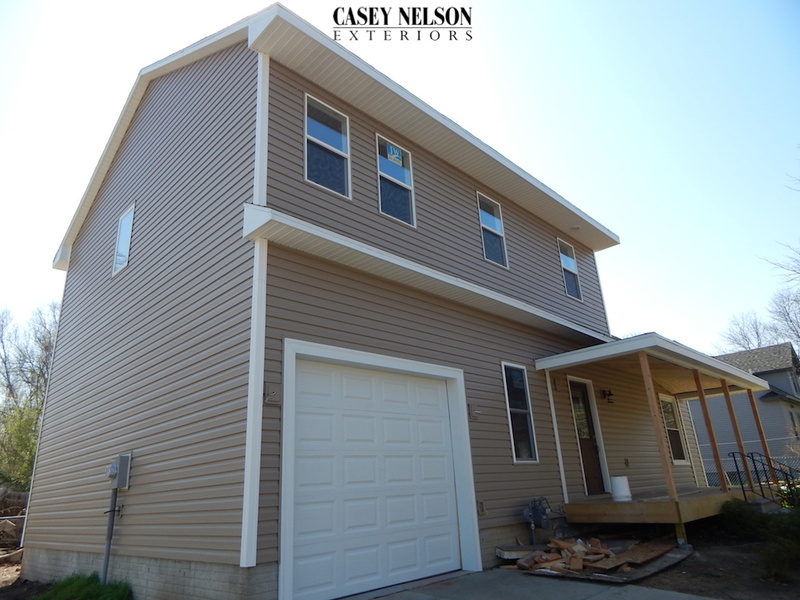 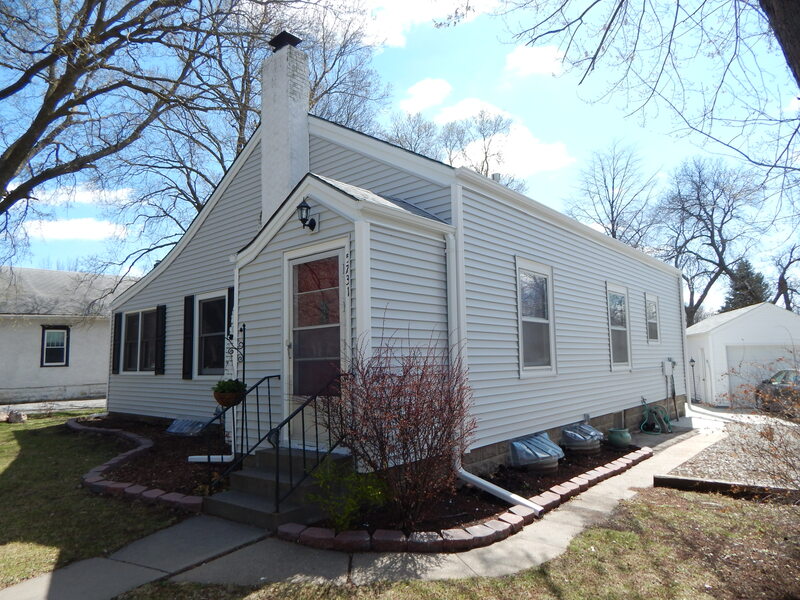 This entry was posted in Recent Projects and tagged Siding Omaha, Siding Omaha NE, Vinyl Siding Omaha on April 30, 2015 by Casey Nelson Exteriors. 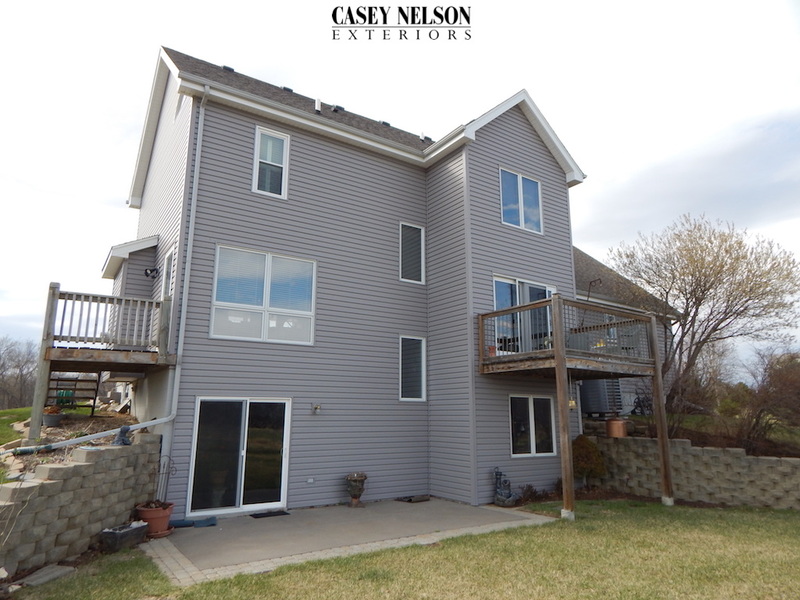 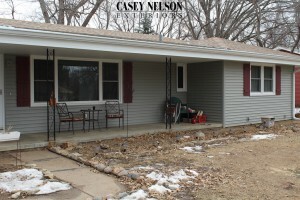 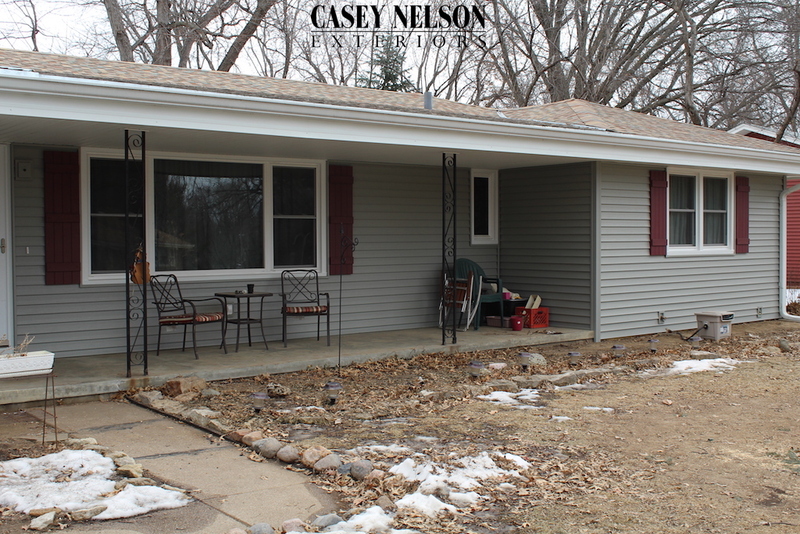 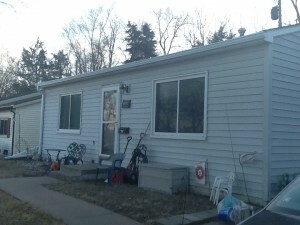 Casey Nelson Exteriors has just completed this siding project in Bellevue, NE. 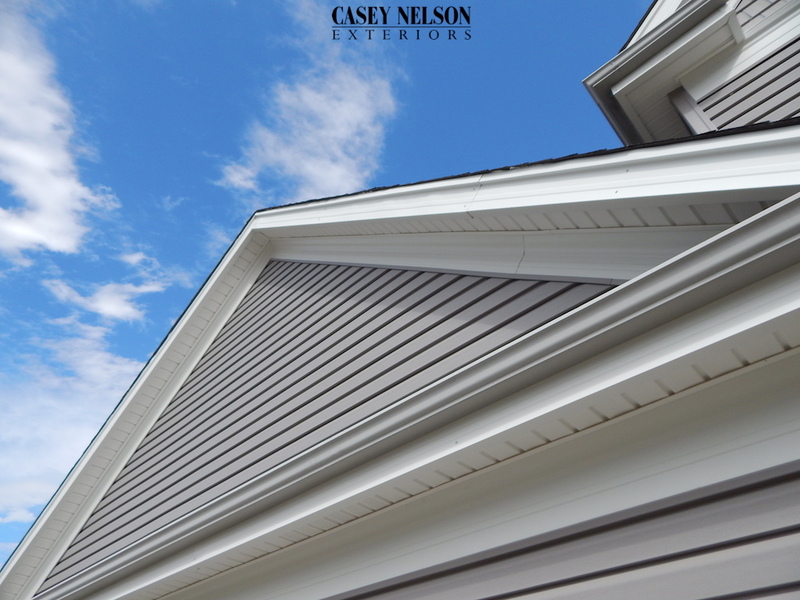 The Sandtone vinyl siding looks amazing! 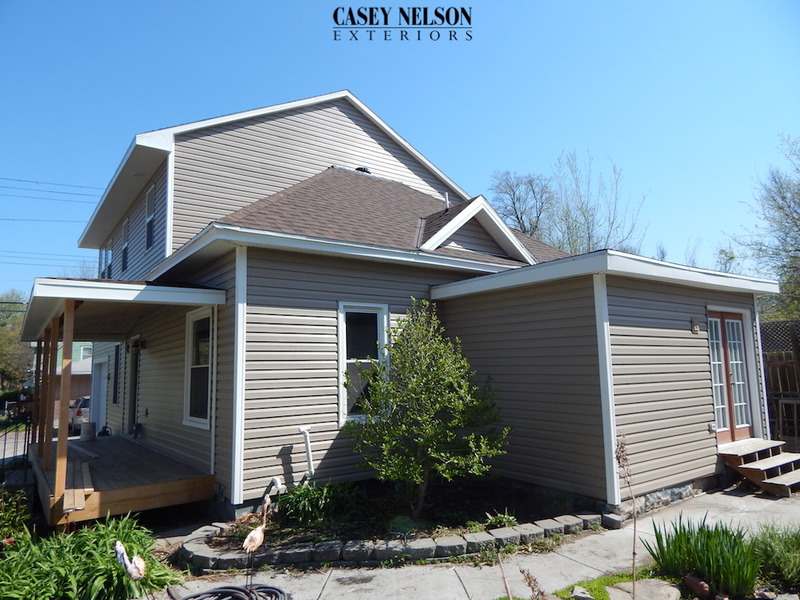 This entry was posted in Recent Projects and tagged Siding Lincoln NE, Siding Omaha NE on April 27, 2015 by Casey Nelson Exteriors. 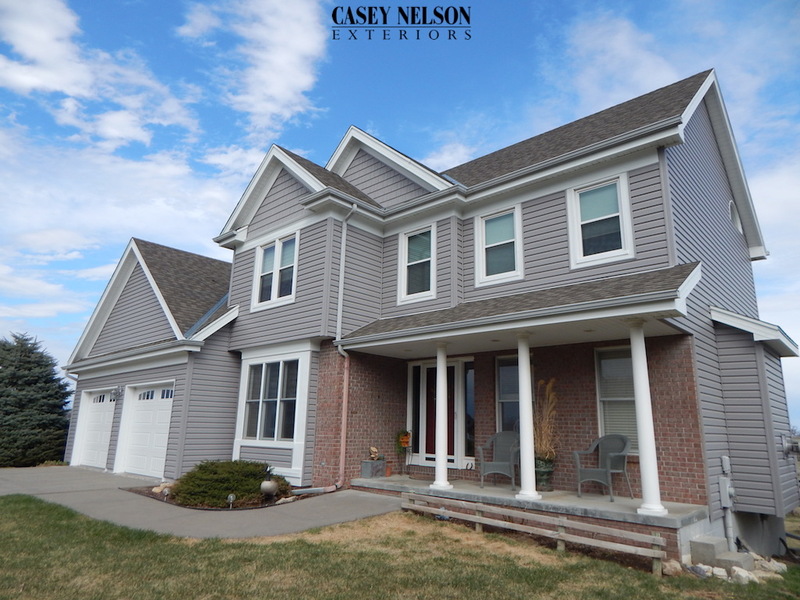 Amazing difference the new seamless Scottish Thistle vinyl siding and Vineyard Red shutters makes. 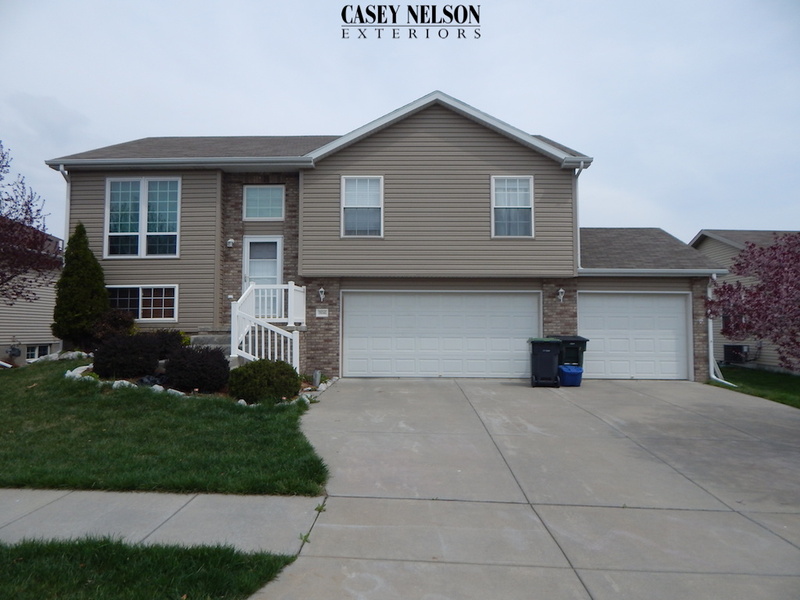 Casey Nelson Exteriors recently completed this project in Omaha, NE. 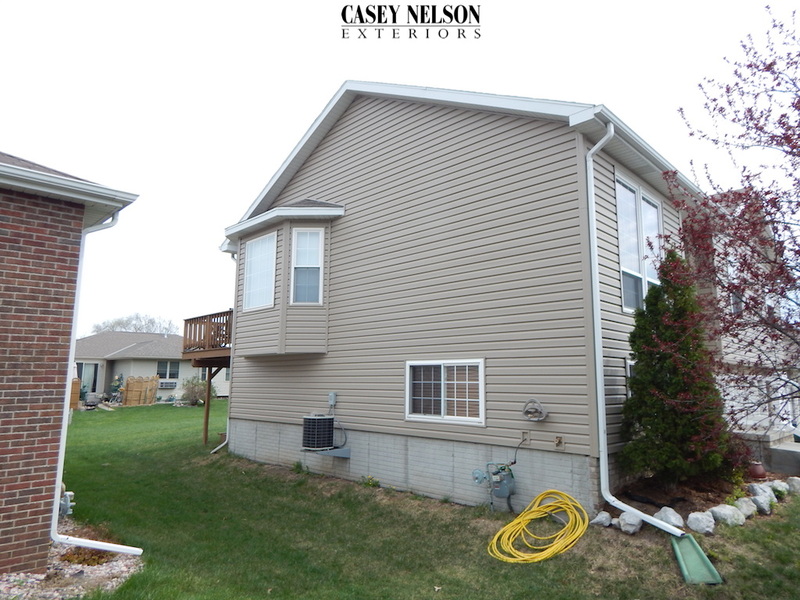 This entry was posted in Before & After and tagged Siding Lincoln NE, Siding Omaha NE on April 23, 2015 by Casey Nelson Exteriors. 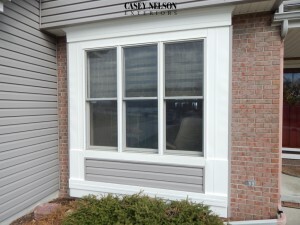 Casey Nelson Exteriors just completed this siding and window project in Lincoln, NE. 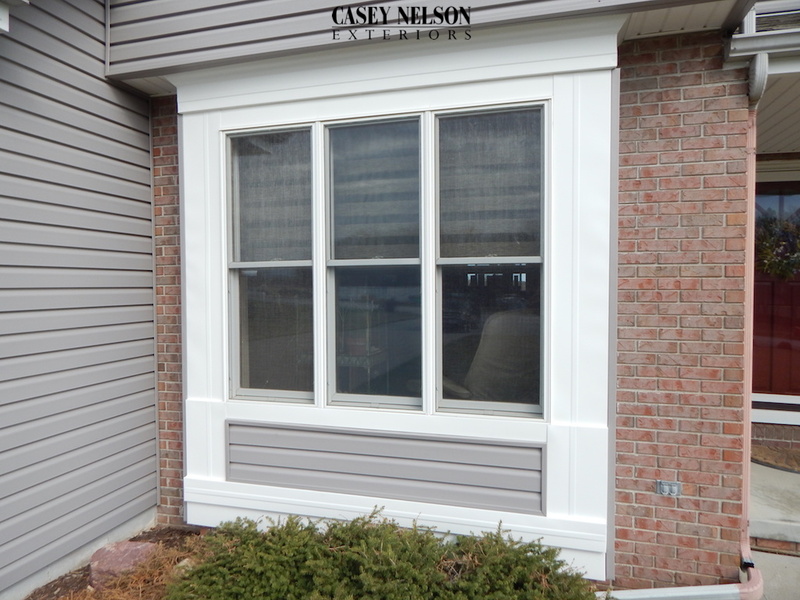 The seamless Pebblestone Clay siding with the white trim really turned out looking great. 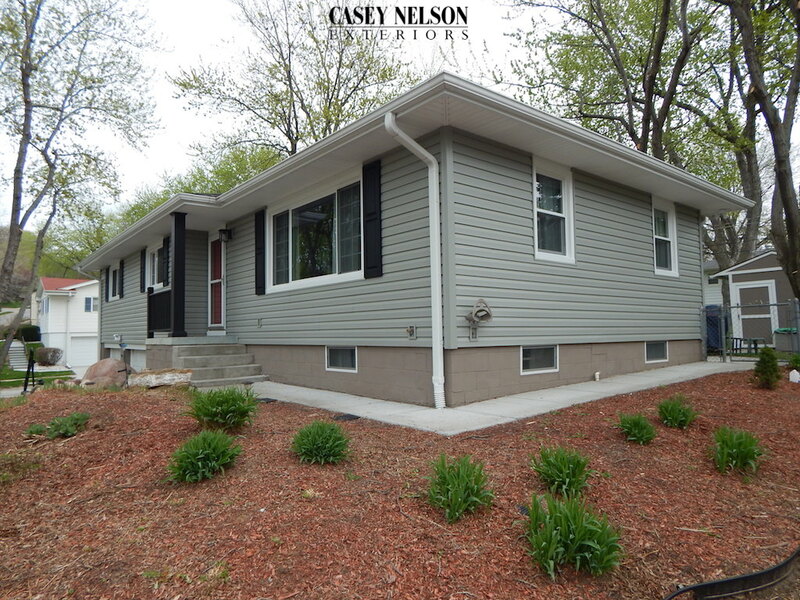 Along with the energy efficiency of new windows and siding the home’s makeover really stands out! 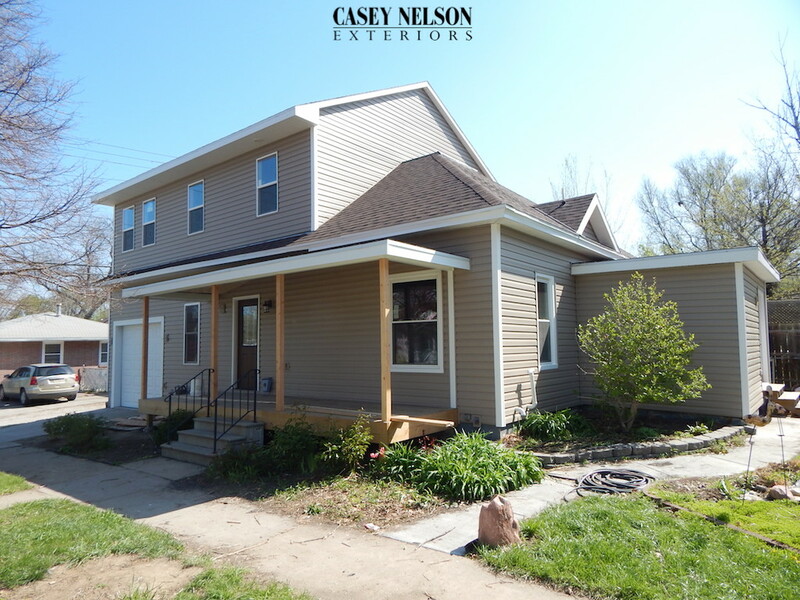 This entry was posted in Recent Projects and tagged Siding Lincoln NE, Siding Omaha NE on April 21, 2015 by Casey Nelson Exteriors. 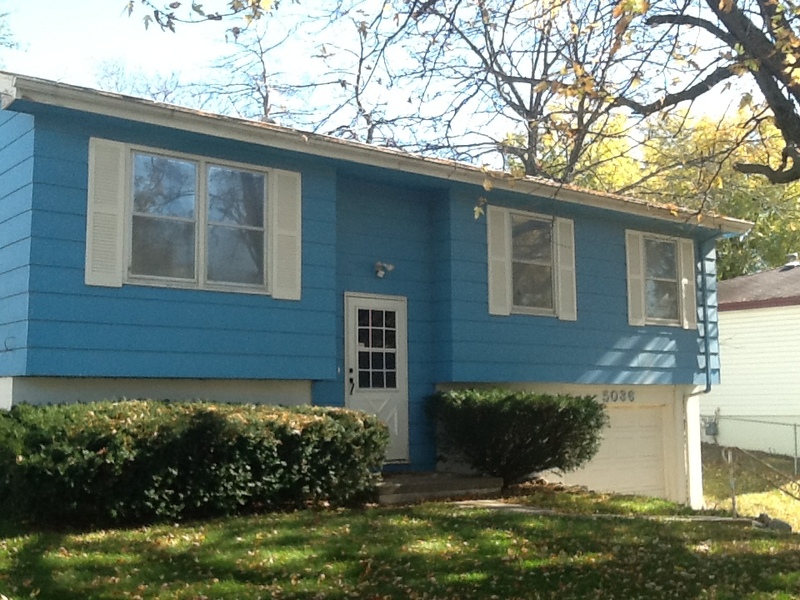 Look at the difference some seamless vinyl siding and shutters can make to a home’s curb appeal. 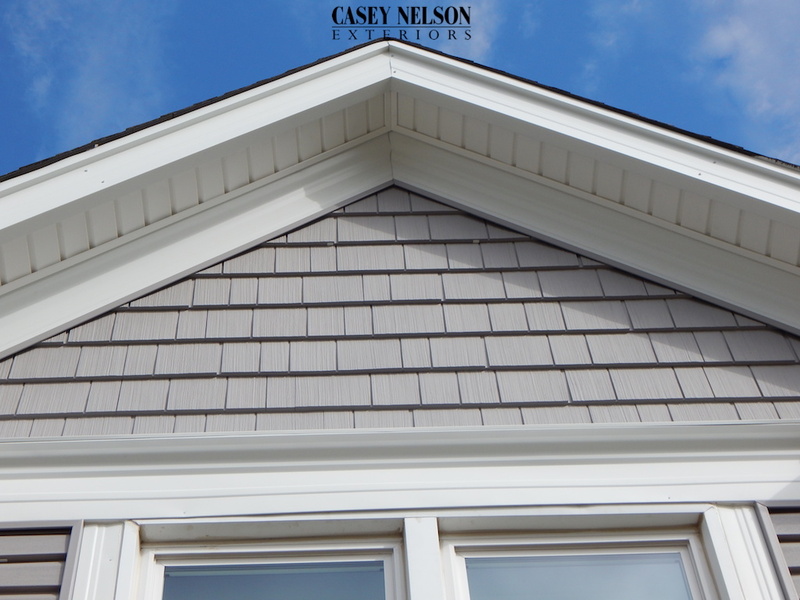 English Wedgewood siding with Dark Navy shutters and White trim. 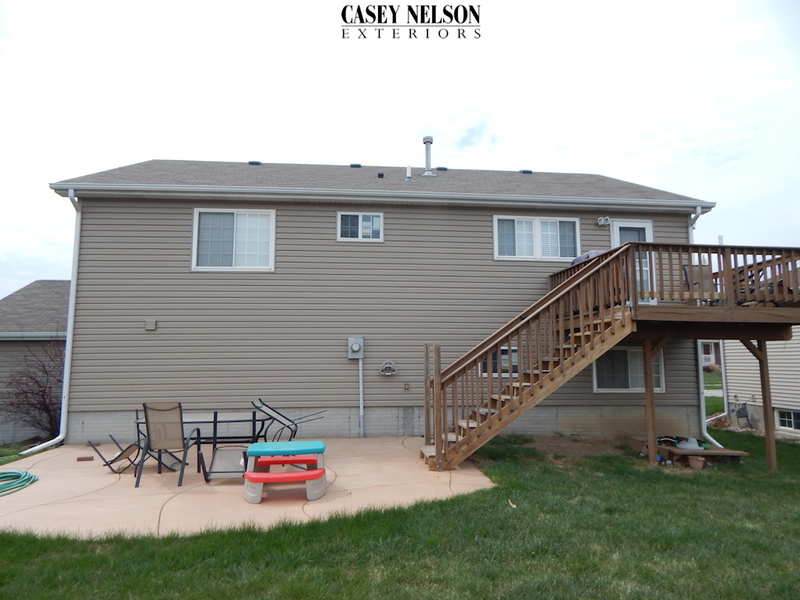 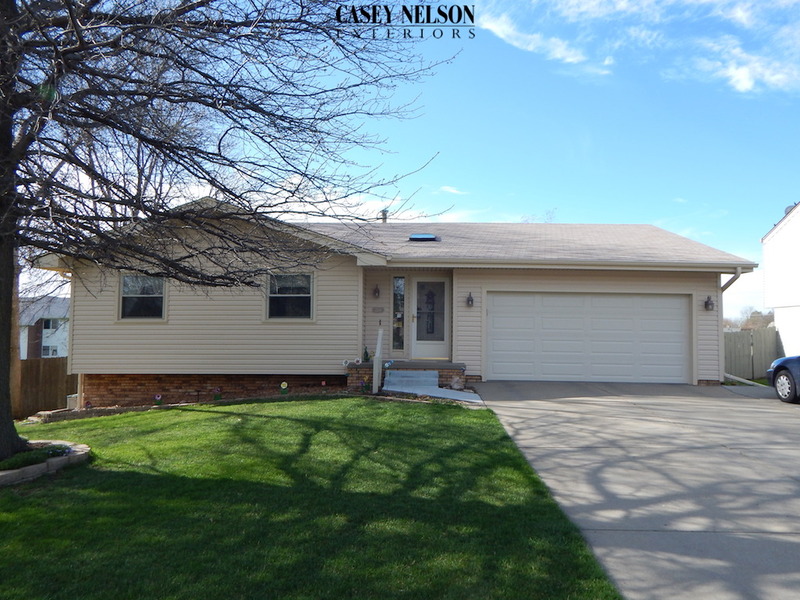 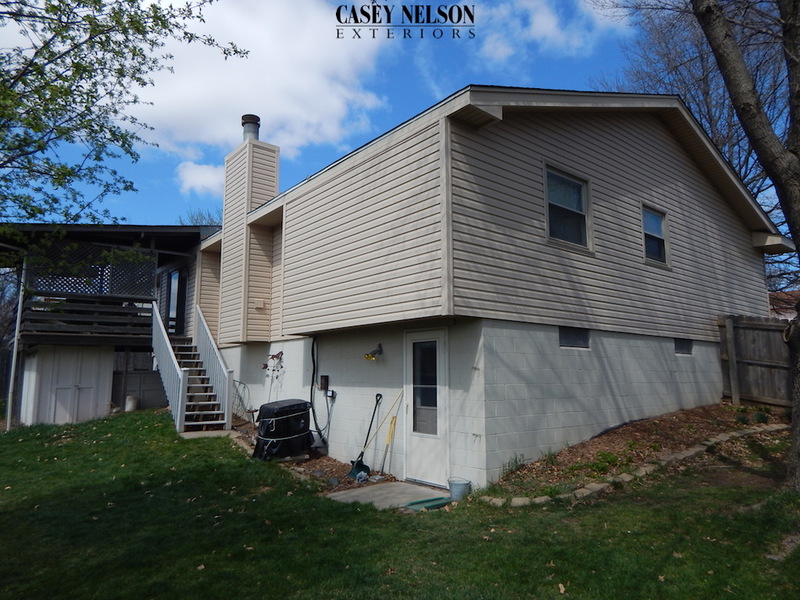 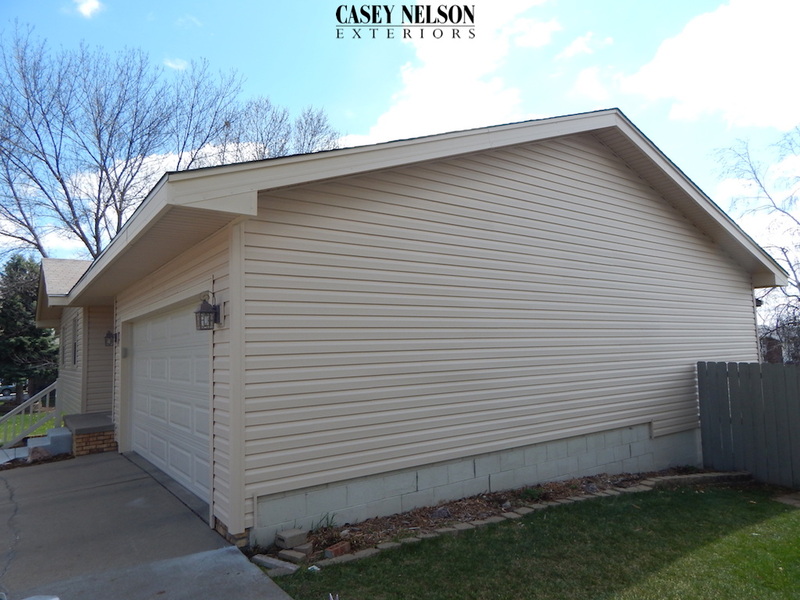 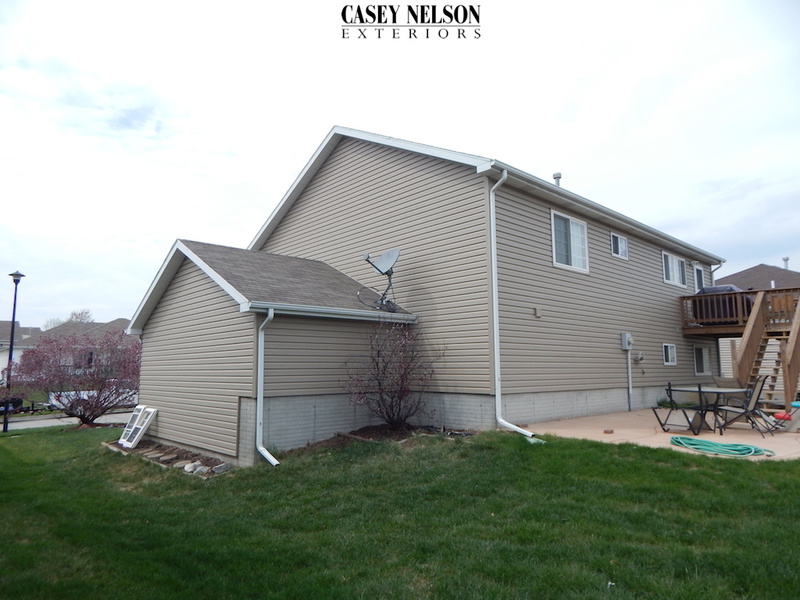 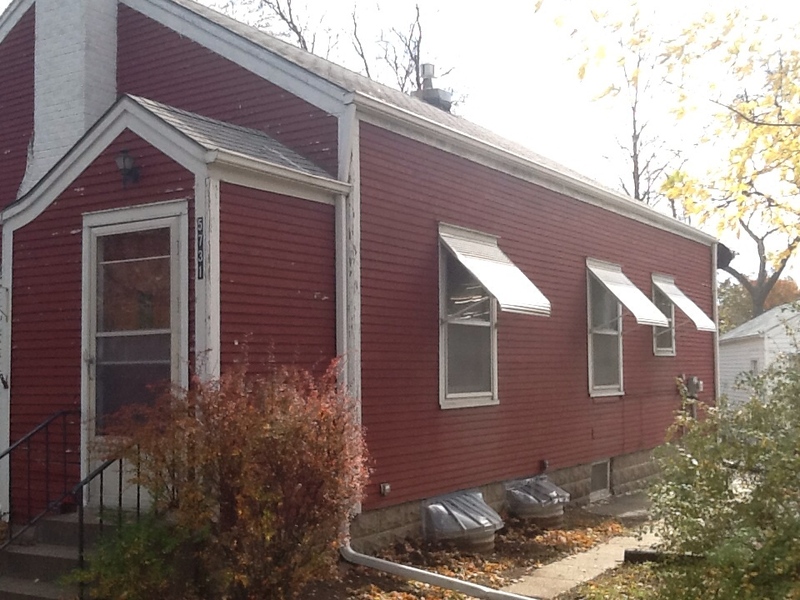 This entry was posted in Before & After and tagged Siding Lincoln NE, Siding Omaha NE on April 21, 2015 by Casey Nelson Exteriors.